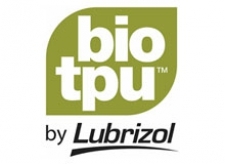 The Lubrizol Corporation, a Berkshire Hathaway company, is a technology-driven global company that combines complex, specialty chemicals to optimize the quality, performance and value of customers’ products while reducing their environmental impact. It produces and supplies technologies to customers in the global transportation, industrial and consumer markets. These technologies include, among others, ingredients and additives for home care and personal care products and pharmaceuticals, and specialty materials, including plastics technology and performance coatings in the form of specialty resins and additives. Certificated ISO 9001 & ISO 14001. Bio-based content as certified in accordance to ASTM D-6866.